The Annual Cherry Blossom Festival honoring Cupertino’s sister city of Toyokawa, Japan, is a celebration of Japanese culture. This year’s event will be held at Memorial Park at Stevens Creek Blvd. and Mary Ave. in Cupertino, and is scheduled to run from April 25 to 26, Saturday and Sunday, from 10:00 a.m. to 5:00 p.m. The event features a wide selection of Japanese food and beverages, demonstrations, entertainment, and cultural exhibits, as well as arts, crafts, and clothing for sale. Proceeds from the festival will go toward the benefit of the Cupertino Sister City Committee, a nonprofit group that promotes friendship and student exchange programs between the two cities. Aim for about eight hours of shuteye—no more, no less. Snoozing for longer may sound like a good idea to keep your energy up during the day, but it can actually make you feel sluggish. Before you sleep, make sure your bedroom is conducive to rest. Turn off your TV and gadgets, clear the clutter, and have comfortable and warm bedlinen in place. People who regularly eat breakfast have been shown to have more energy throughout the rest of the day. Likewise, studies have shown that these same people eat 12 percent healthier than their non-breakfast-eating counterparts. Stress has been known to make people feel fatigued. If you feel stressed for any reason, calm down with some breathing exercises, warmups, and meditation. Yoga and meditation are great ways to beat stress. Open your windows as soon as you get up and let some sunlight into your home. Before you start your day, make your waking environment as light and airy as possible. 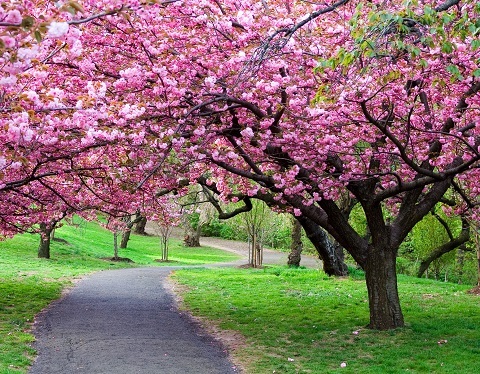 Keep these tips in mind, and you’re sure to enjoy the Cherry Blossom Festival even more. If the day’s activities start to make you feel under the weather, or if you eat something that upsets your stomach, don’t hesitate to visit a nearby Cupertino urgent care facility like U.S. HealthWorks.